Worked as publications manager at Thornleigh Salesian College. 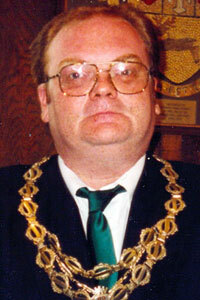 Son of John Kevin Kilcoyne, Mayor of Horwich 1984-85 and Alice Kilcoyne, Mayor of Horwich 1990-91, 1998-99. Grandson of John Augustine Kilcoyne, Chairman of Horwich Urban District Council 1934-35. Represented Halliwell Ward on Bolton Council. Member of the board of directors at the Royal Bolton Hospital. Organist at St Mary's RC Church, Horwich.